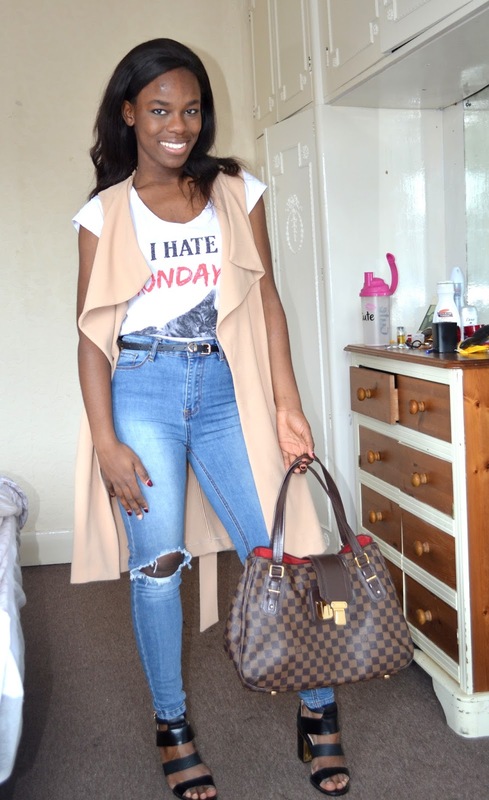 Jeans from Missguided// Sandal from Miss Selfridges// blazer from Miss Selfrifges// Bag from Louis Vouiton// shirt from Primark. Happy Monday, hope everyone had a fab weekend? I was bit sick so I made sure I got enough rest for a busy week ahead. Since my shoot on Saturday I've been motivated to try outfits so, I put this look together. 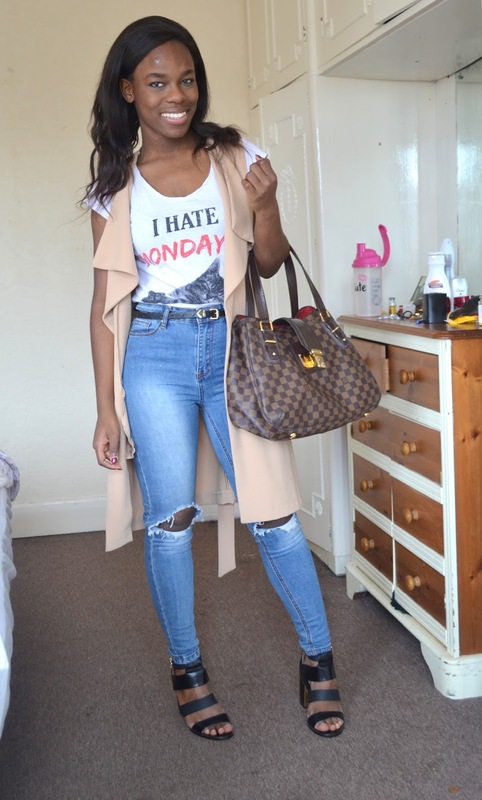 I love putting casual and classy looks together and see how it turns out. 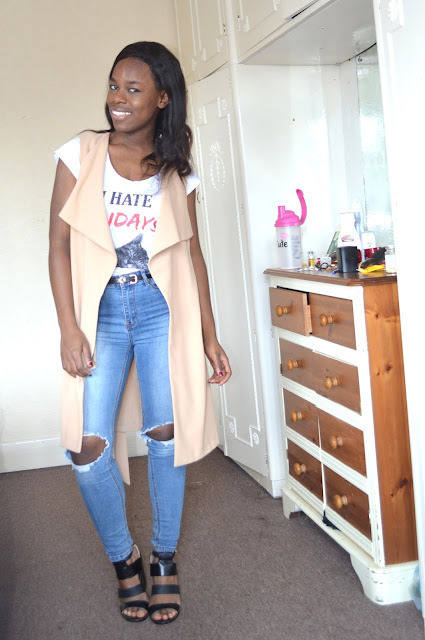 My Missguided high-wasted jeans has become my favourite jean and it's in trend this summer. Every Month I try to give myself a new goal like joining the gym last month. This month I'm going to post at least 2 times a week. I'm attending events and have reviews to make so I cannot wait to share them with you all.